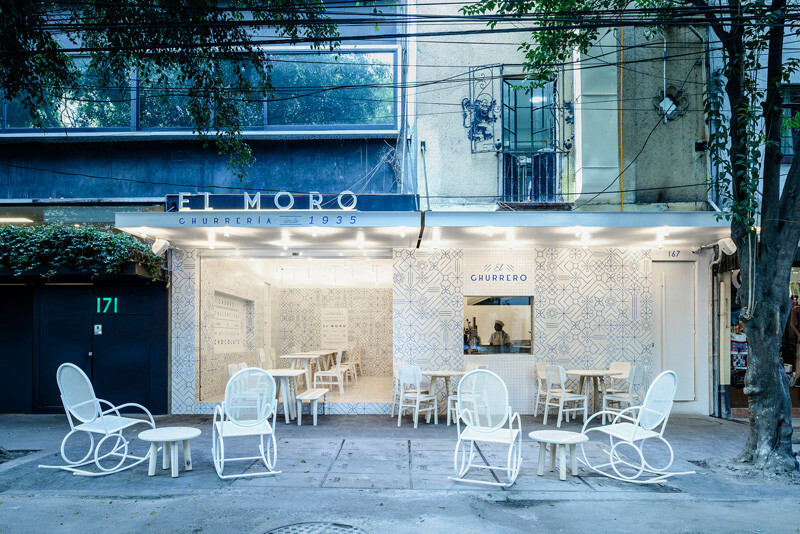 When walking along this street in Mexico City, it’s unlikely anyone would miss this bright and welcoming hot chocolate and churro cafe, named EL MORO. 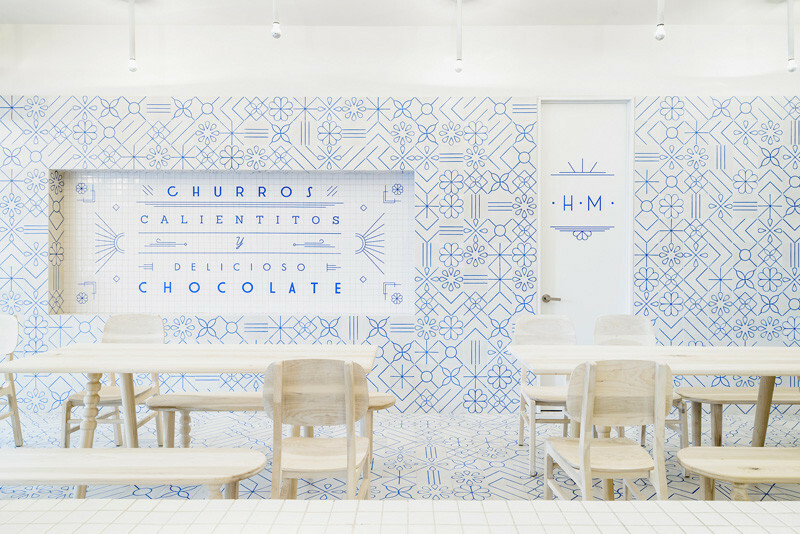 The cafe, which is covered in white tiles with blue graphics, was designed by Cadena + Asociados. 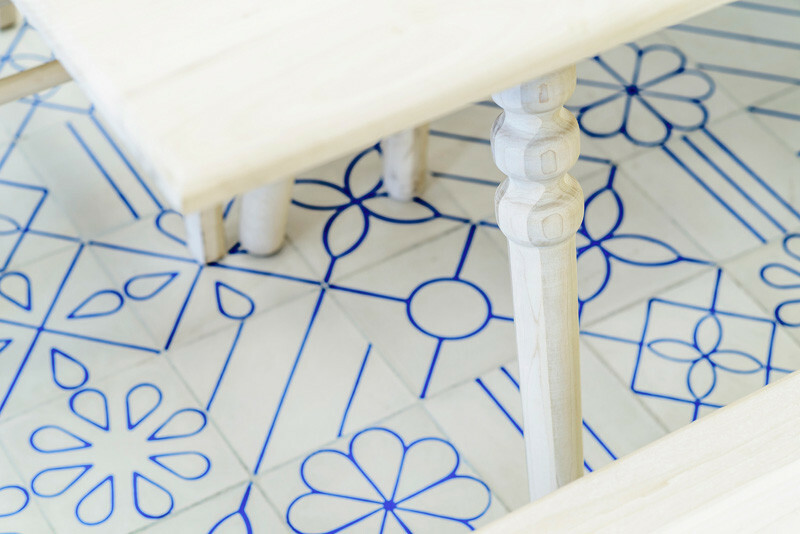 The mosaic of blue motifs express the brand’s personality, and the white was apparently inspired by sugar. 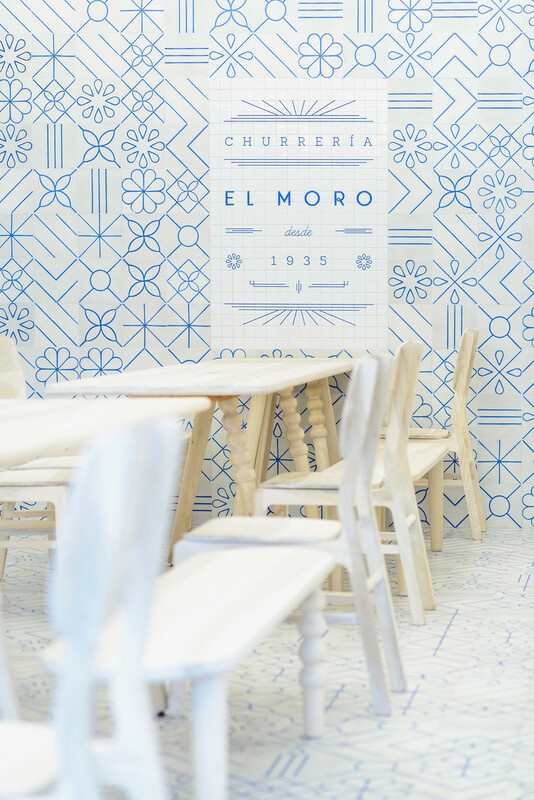 The company logo and other text details that interrupt the graphic tiles, have touches of the era in Mexico when Art Deco style dominated the city’s poster ads, movies, fonts and architecture. 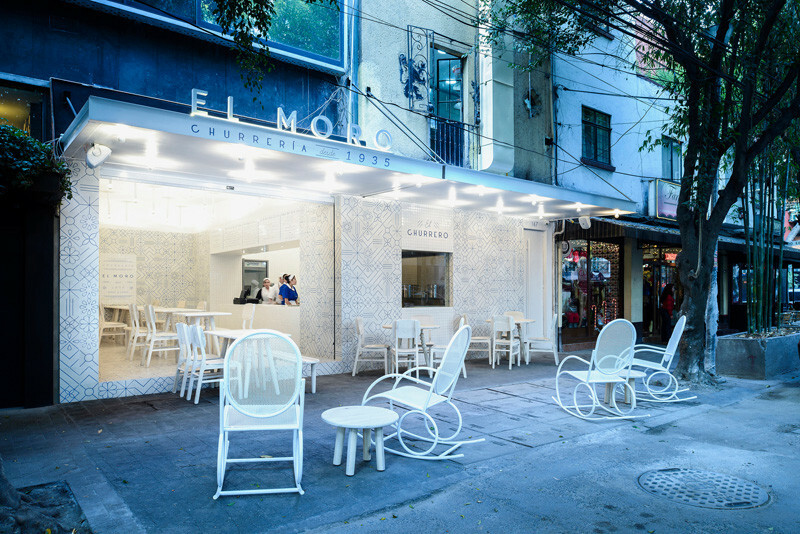 The furniture throughout the space has been kept minimal, with touches of wood and white in the tables and chairs. The tiles continue from the walls onto the floor. 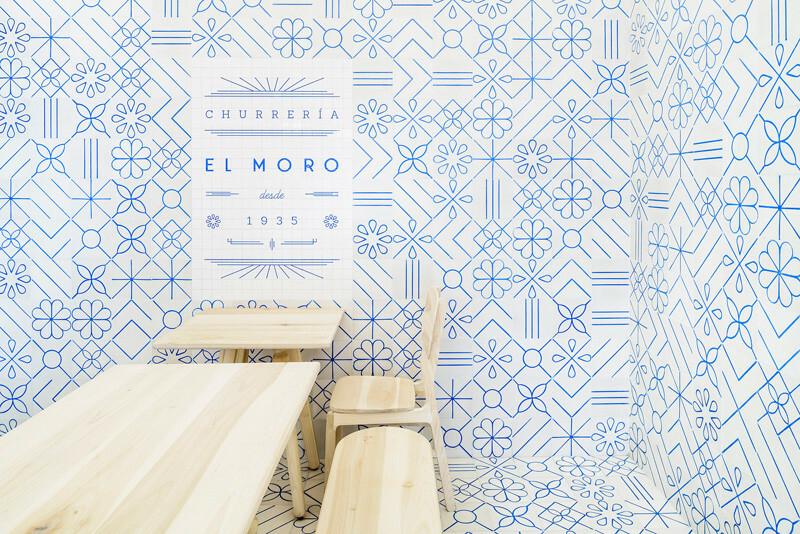 The staff uniforms have also been kept the same as the color palette, blue and white, with touches of brown leather (similar in color to the wooden tables in the space). 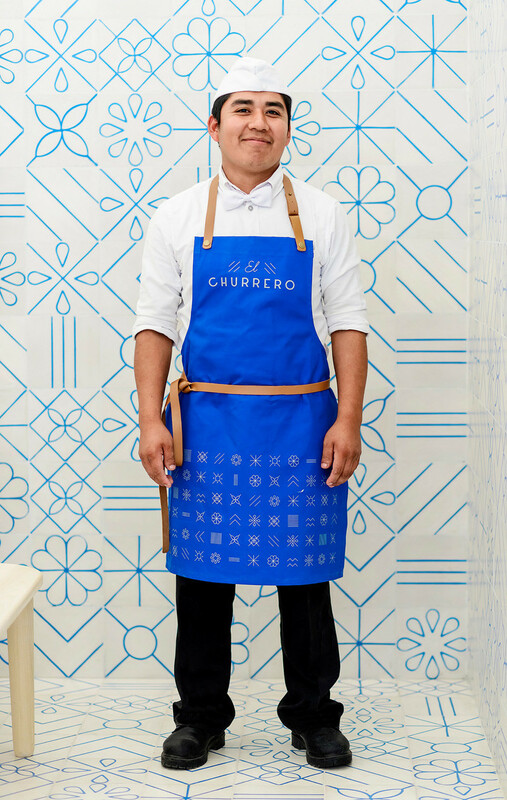 A close up look at the aprons that the staff wear, reveals that they’re decorated in the same motifs as the tiles on the walls.